ACE Tips: The Advantages of Modular Gas Springs – ACE Controls Inc.
Let’s say you’re mounting two gas springs in parallel to decelerate a horizontal-hinged hood. In this case—as in all cases—proper mounting is essential. Mounting your springs incorrectly could cause them to wear prematurely or experience torsion-related seal damage. ACE tip: In situations like this, simply screw on an end fitting with a swivel eye to enable more movement and minimize the risk of torsion. The modular design also lets you attach your gas spring to mounting brackets should your application require them. Thanks to the interchangeable end fittings, mixing and matching these accessories is easy and makes the mounting process quick and painless. ACE tip: Our product code system provides a simple, clear way to shop around for gas springs based on your application’s requirements. 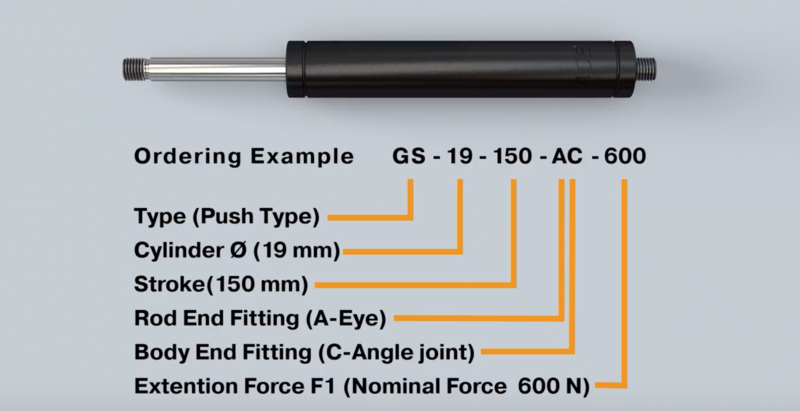 Each set of letters and numbers in the product code corresponds to gas spring type (push or pull), cylinder diameter, stroke, rod end fitting, body end fitting and extension force, respectively. Visit our gas springs calculations page—available 24 hours a day, seven days a week—to customize your gas spring in just a few minutes. Based on your data, we’ll size your spring and send you a technical proposal complete with mounting points. We’ll also include all the end fittings and mounting equipment you’ll need. 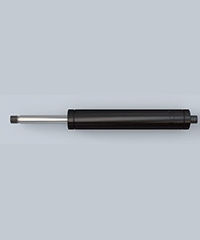 You’ll then receive your customized, modular gas spring in as little as 24 hours from order finalization. Visit our online calculations page to get started.